Also, please pass on my suggestion that the Kind group be moved to before the text input box that it qualifies. That looks like BC3's dialog, which won't be updated. 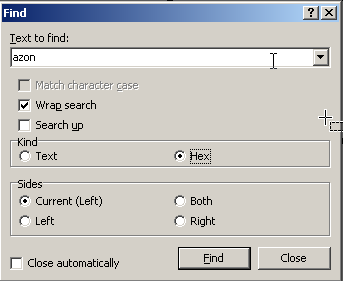 Any UI enhancements would be directed to BC4, which uses a Find Panel structure. That looks like BC3's dialog, which won't be updated. Sorry, my mistake. One of my many portable installs had not been updated. All times are GMT-6. This page was generated at 03:38 PM.